You can hardly bear winter cold or work outside all winter ? We recommend you opt for long sleeve undershirts from big brands of underwear to protect you from the cold. 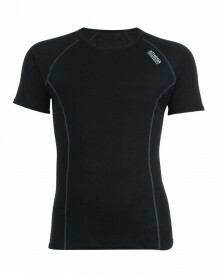 Undershirt either in cotton or in thermal materials especially studied to keep you warm while letting your skin breathe. Brands of underwear for men like EMINENCE, ATHENA and HOM offer warm and comfortable undershirts. Undershirts There are 8 products. 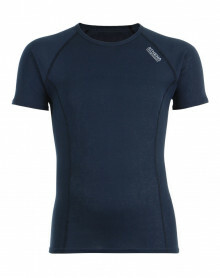 This Eminence undershirt is a mixture of wool (50%) cotton (40%) and Polyamide (10%) to provide natural, intense heat. (50% wool, 40% cotton, 10% Polyamide). The inner part of This model is cotton for comfort. This undershirt V-neck Eminence is 100% cotton of Egypt. This matter of appellation of origin provides smoothness, freshness, strength and shine. (100% Egyptian cotton). Whether you work outdoors during the winter or are simply chilly by nature, the warm body suit is for you. Specially designed in warm materials allowing our skin to breathe, our selection of EMINENCE, HOM or ATHENA body suits will keep you warm without making you sweat. You'll find the shape that's right for you: tight fit, round neck or V-neck, tank top or sports t-shirt.